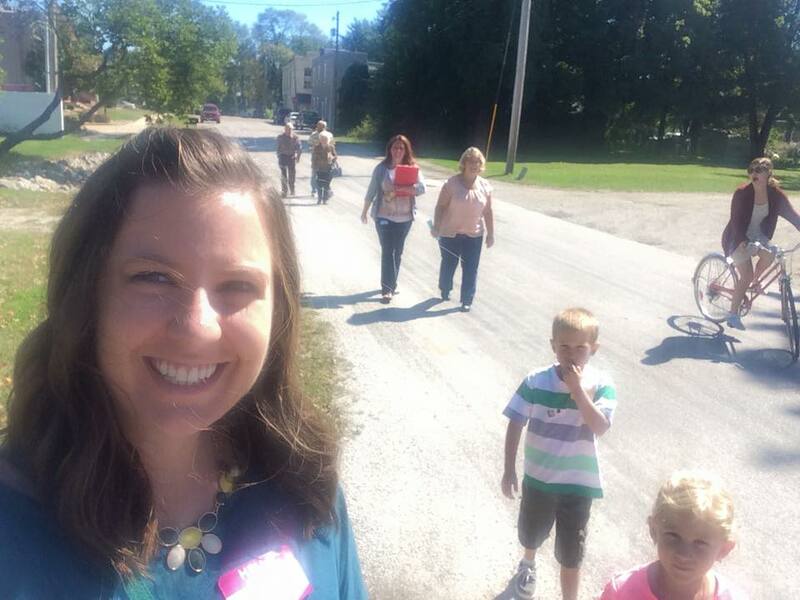 This is some Norman Rockwell-esque adorable: walking home from church in the sunshine with my grandparents, aunt, uncle, cousins, and second cousins. Yesterday I went to Downs, IL (a tiny little town outside of Bloomington) to hear my cousin preach. I was going out of low-expectation familial support, but WOW, it turns out my family is very talented. Steve is three months younger than me, but he is already a phenomenal preacher. He’s laid back, good at working the room, and really great at getting his point across. So great, in fact, that over 24 hours later, I can still remember what he said. I used to be really into novels in verse (stories told through numerous short poems), but I haven’t read one in a while. I’m so glad Brown Girl Dreaming reminded me of the art form. It’s a great way to condense a long story (in this case, Woodson’s childhood) into bite-sized emotional pieces. Woodson does a wonderful job of conveying her experiences both through the micro lens of her family as well as the macro lens of the changing racial cultures around her. We get to see what it was like for a black girl to grow up in the North and the South during the Civil Rights generally, and we get to see her family support and tragedy specifically.